Hello, i'm having some trouble getting the sound on FF12 to work properly. The sound seems to always skip, primarily during FMV's but it does happen during regular gameplay as well. 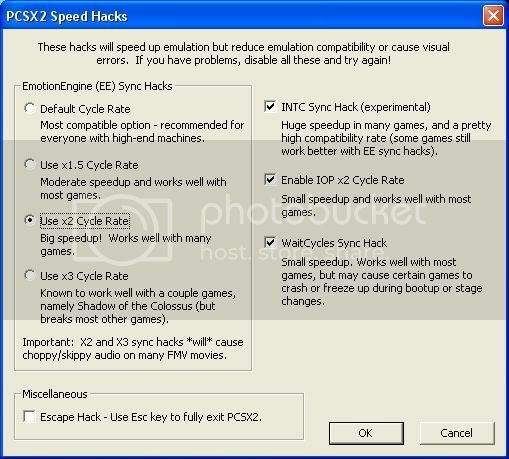 I know that 2x-3x cycle speedhacks create sound problems but the skipping is there regardless of what speedhacks I have on. Any help or suggestions would be greatly appreciated. Thank you for your time. you seem to have a slow CPU, that could be the cause. 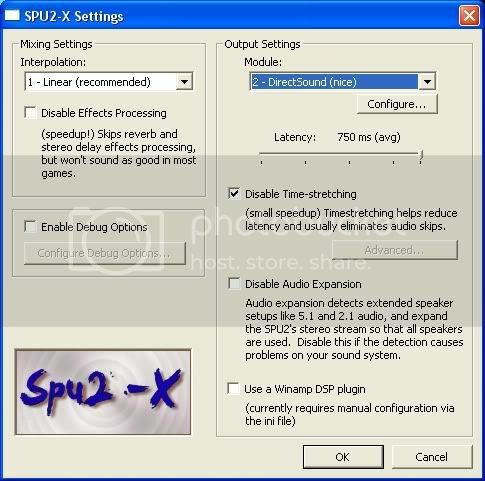 Enable time stretching in spu2x config to avoid sound skipping, but you'll get slow sound , then. Speedhacks may cause that too. Thank you for the quick reply. As you said, enabling the time stretching did get rid of the skipping but slowed down the sound as well. Oh well, i'll keep trying different settings until I find something that works for me. Location: In the box with the most oxygen. Use peops spu sound plugin instead. 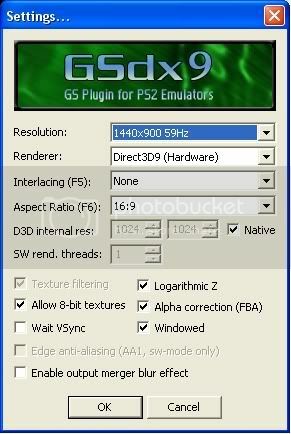 Try these settings as they work for almost all games with very little to no speed hit. Play. Hope that helps, if not, sorry. You will always have some sort of sound problem in FF12 because your computer is far too slow to play the game at full speed. You can pick your poison with either having sound skipping, or having the sound slow down... the only other option would be to upgrade your PC.